Not all bites are created equal. While we would all like that perfectly symmetrical smile, it isn’t always the case. No matter how your bite or teeth are misaligned, Central Florida Periodontics can perform the bite adjustment procedure you need to make your smile shine. A top Orlando-based periodontist, Dr. Sevor at Central Florida Periodontics has the tools to get the job done. “Bite” is the term used in reference to where a person’s teeth naturally rest when the mouth is closed. Whether it is an overbite, underbite, or other types of tooth misalignment, a person’s bite can become askew for many reasons, such tooth or jaw damage. As a top Orlando periodontist, Dr. Sevor can work with you to restore a safe, healthy bite through bite adjustment procedures. Bite adjustment can prevent conditions such as premature wearing of the teeth as well as loosening of the teeth or joint discomfort. Treatment can help alleviate, and correct, these issues over time, and we offer several different options to help correct your bite. For this treatment, the periodontist will reshape the tooth surface where it is making abnormal contact. This can help more evenly distribute pressure across all your teeth. A bite splint is a custom-made tooth guard that is worn to keep your teeth apart. These splints can be used throughout the day. Since each one is custom made, they will depend on each patient’s specific bite adjustment needs. A staple for all Orlando periodontists, braces are a common treatment for bite adjustment. Braces work to pull the teeth into their proper position. Whether they are traditional metal braces, ceramic braces, or a more modern treatment like removable mouthpieces, braces are always a fantastic option for people looking for a bite adjustment. The most drastic treatment for bite adjustment is replacement or reconstruction. 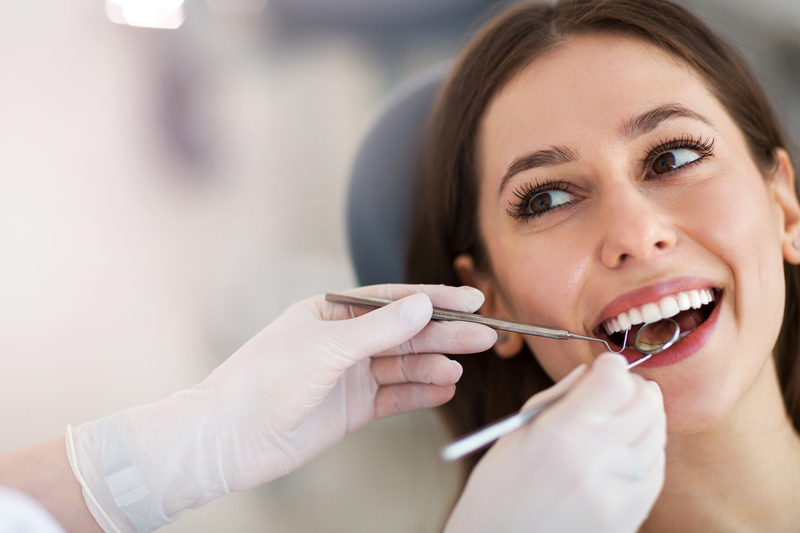 Our Orlando periodontists can replace damaged fillings and reconstruct worn out, natural teeth to help correct for a bite adjustment. Central Florida Periodontics isn’t a top Orlando periodontist clinic just because we say we are. We’ve earned that title after performing thousands of successful procedures for many happy customers throughout the Greater Orlando area. With locations in Winter Park and Winter Spring, Central Florida Periodontics has you covered from bite adjustments to tooth implants. Dr. Jeffrey Sevor, DMD, is highly qualified and will work with you to come up with a plan that works for you so that your bite adjustment ends with you smiling proudly and confidently for years to come. To learn more about why Central Florida Periodontics is a great Orlando-based periodontist, and how what type of bite adjustment procedures they offer, contact us today for a consultation.